I left Twin Grove campgrounds on Sunday morning and took a detour along US-322 to State College in order to visit my advisor from Penn State, and thereby crossing the Valley and Ridge province from east to west. The rocks of the Pottsville Group are Pennsylvanian age (~320-300 mya), but the rocks get older as we travel westward. 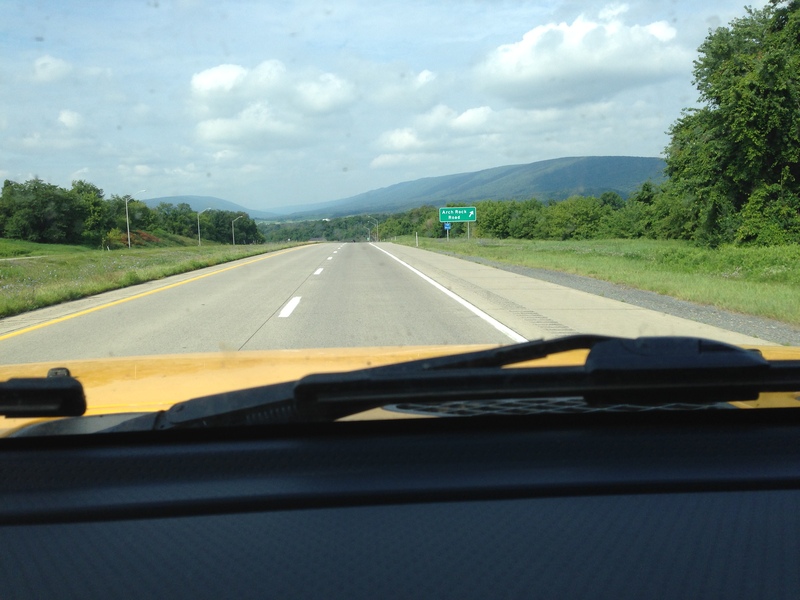 This is one of the most beautiful drives I have done, as we follow the Juniata River where it has followed weak points in the crust. I stopped at a large road cut and collected my Texas-sized hand sample, which is a Devonian period (~420-350 mya) sandstone with a green hue and a combination of striations and minerals that indicate it has been subjected to a large stress from faulting. The texture and color indicate a nearshore marine depositional environment, like a modern beach or shallow water near the coast. 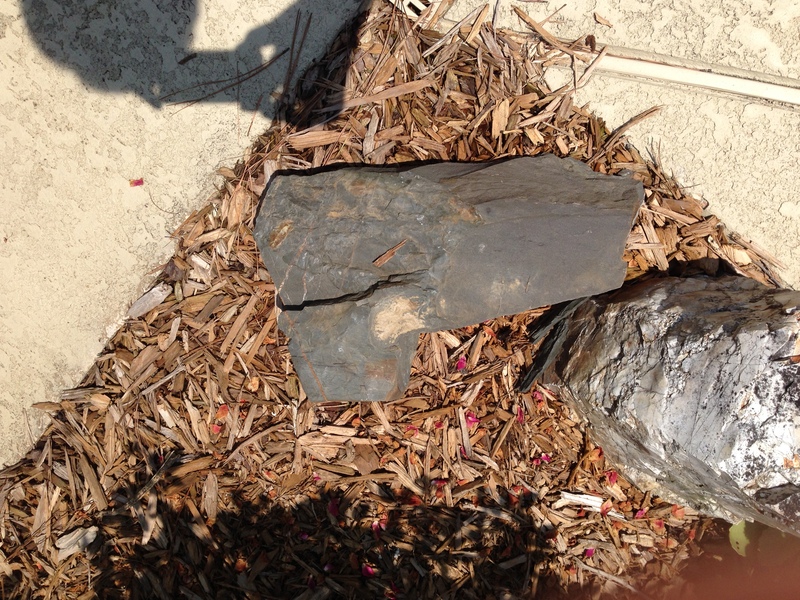 These rocks are exposed in the west because of sliding along deep nearly horizontal faults when Africa collided with N. America, which pushed deeply buried rocks like this westward during which they slid along more vertical faults. This trend continues until we get to Arch Rock, where Silurian period (~445-420 mya) thin sandstone and shale beds are exposed in road cuts. These small folds are superimposed on much larger ones. The exit to Arch Rock gives a nice view down the valley to the west. The ridges are oriented more to the NE in this location. As we travel westward, they become more north-south. 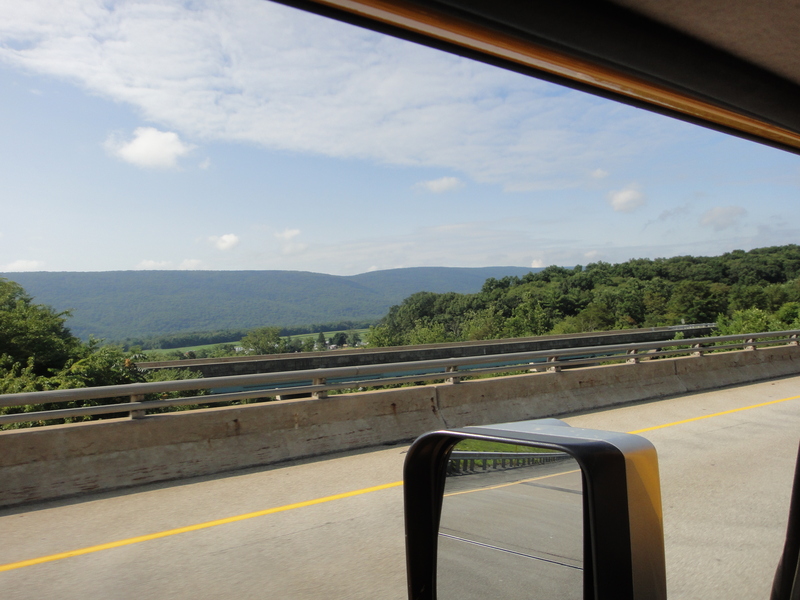 Finally, we cross the pass at Seven Mountains and drive down into Nittany Valley, which has perfect Ordovician Period (~485-445 mya) carbonate (limestone and dolostone) that are tilted about 30 degrees. 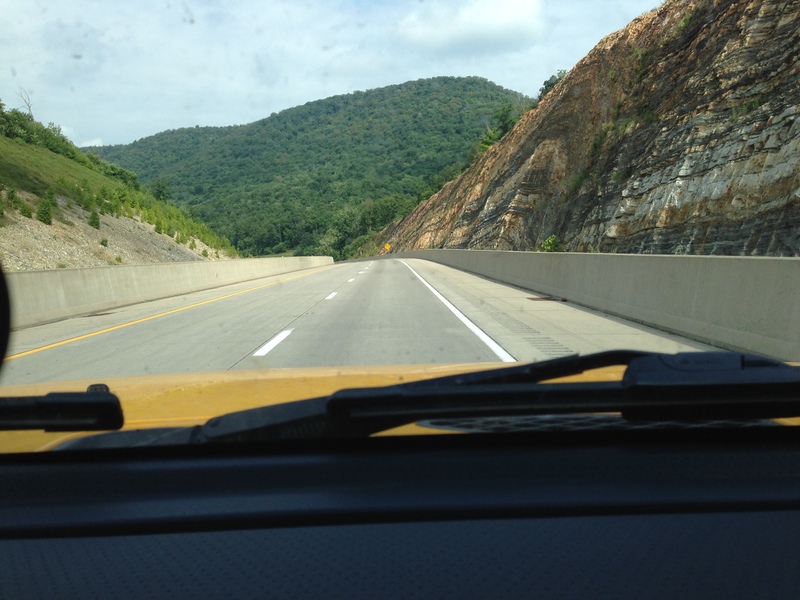 Thus, during my two-hour drive I have traversed ~200 million years of sediments, and gone from river/stream sand/shale/coal sediments to the deep sea limestones that were disturbed by the Appalachian Orogeny. And it was all visible to the naked eye!